Available in standard jewel case edition, 12 pages booklet, limited to 300 copies. SVÄLTVINTER is a rising entity from Trollhättan, Sweden. 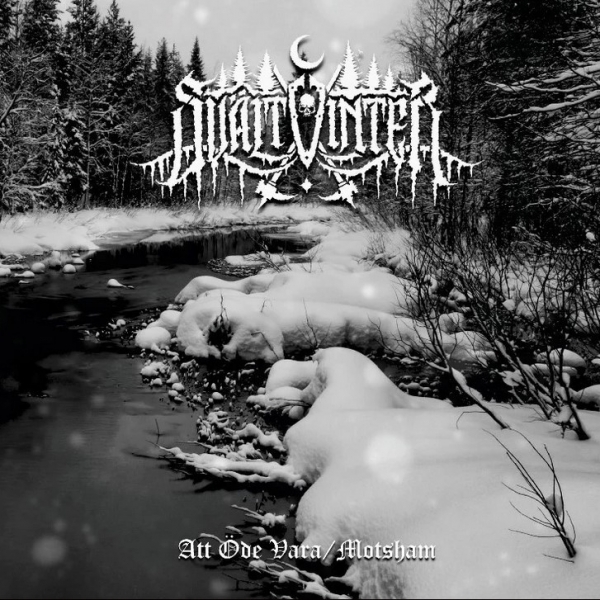 This debut album is a compilation of their last two EPs, “Att Öde vara” (2018) and “Motsham” (2015). A very young but really mature band gave us a mesmerizing and impressive, harsh but with a strong melodic bent, true masterpiece of Anti-Urban Black Metal!!! A return to the past revisited with a contemporary taste.